Present Status: Gone. Demolished 1889. J. Riely Gordon, Architect for the Bexar County Courthouse, described the new structure in 1896 as follows: “The new County Courthouse is a four-story and basement structure of the Romanesque style of architecture. The materials are all native Texas granite and red sandstone. With its tall towers, tile roof and numerous colonnades it makes a mammoth structure…It has been especially designed with reference to the peculiarities of this climate. The open court on the east (Dwyer Avenue) has been designed for the purpose of securing the prevailing southeast breeze…With wings projecting out it catches all the breeze that strikes between them upon the principle of a funnel, and forces it throughout the entire structure, and the natural breeze is not wasted, thereby securing a thorough system of ventilation. It is entered by ascending very large and spacious granite steps with immense granite columns and bronze lamps on each side, to a platform floored in marble with a granite balustrade. Over this is a magnificent 26 foot fountain, surrounded by various kinds of tropical plants…From the first platform which is flanked by stairs of granite, turning to the right, and left, one enters into the colonnades which surround the entire court and fountain. They are floored with marble and surmounted with polished granite columns with magnificently carved capitals and spacious hall on the right and left. The approach from Main Plaza is flanked on each side by heavy granite buttresses and magnificent bronze lamps. Expensive (sic) steps pass under the massive 32 foot segment arch, built between the two towers, which act as buttresses to resist its thrust…The south entrance is also gained through massive arches, polished granite columns with marble floored loggia, etc. The entrance from the west has not yet been completed and is not included in any of the present contracts, but the arrangement is for an entrance through a carriage porch of heavy granite arches, enabling ladies and others to attend court, as well as to be used in wet weather…” In addition, the two towers on Main Plaza were elaborate, the west one topped by a pyramid of green tile, and the taller east tower by a beehive form of red tile. Building of this structure continued from 1892 through 1896 under the supervision of George Dugan, Otto P. Kroeger and David Hughes. The Courthouse proved adequate as constructed for only twenty years. In 1914, the construction of a five-story addition on the south side of the building was begun. Architects for this work were Leo M. J. Dielmann and Charles T. Boelhauwe. The structure was completed in 1915. H.N. Jones Construction Company served as contractor. It was not until June, 1926, that the Courthouse underwent a major remodeling. Architects were Phelps and Dewees and Emmett T. Jackson and George Willis. E. Simpson Company was the engineering firm, and Walsh and Burney the general contractors. A fifth story was added to the center of the building, and a new roof constructed. 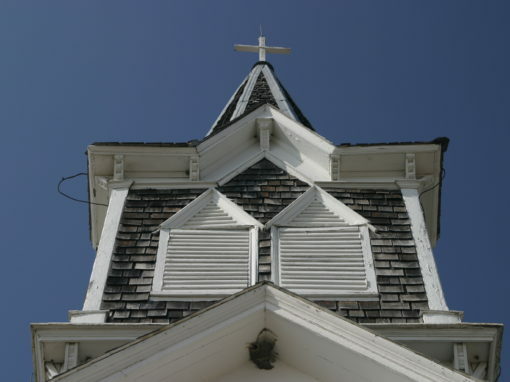 Two wings were added to the west side. As in the 1914 work, the same granite and sandstone of the original structure were used. Tile flooring was installed in public spaces, and cork floors in courtrooms and libraries. The entire structure was artificially heated and cooled, an innovation for the time. The steel beams and masonry arches of the original structure were removed, and a reinforced concrete frame used. The 1926 remodeling unfortunately destroyed the east side patio, one of the building’s finest features. This work was completed in October, 1928, and brought the overall dimensions of the Courthouse to 400 feet long and 140 feet wide. The Courthouse remained intact for almost fifty years. Then in 1963, a new addition to the Sheriff’s Department was made, and two courtrooms added on the second floor. In 1970, a $2,600,000 project was undertaken to modernize and expand the entire structure. An addition of 24,000 square feet was made to the southwest corner of the building. Central air conditioning and heat were installed as well as new plumbing and wiring. Edward R. Gondeck was architect for both projects. Hilmer served as contractor for the 1963 work, and Wallace L. Boldt for the 1972 work. In neither of these additions was the same use of materials of the original structure made, and a major portion of the west side of the building was destroyed in the 1972 work. The most recent work was done in 1973 when a law library was constructed under the roof, creating a sixth story on top of the old library. This work was done at the cost of $124,000. Architects for the project were Jack Peterson and John Williams. The Bexar County Courthouse is important architecturally, historically, and symbolically. The 1892 structure has served as the center of county government and a focal point of downtown activity since its completion. It illustrates the historical association of Main Plaza with the administration of justice throughout the development of San Antonio and Bexar County. Along with the San Fernando Cathedral on the west side of the Plaza (itself a National Register Property), the Courthouse gives definition and continuity to this vital portion of the central city. It serves as a cornerstone for the Main and Military Plaza Historic District recently designated by the San Antonio City Council. When the Canary Islanders, the first civilian settlers of San Fernando de Bexar, joined the established Spanish military population in 1731, they made their homes on what became known as Plaza de los Islenos (later Main Plaza). Three years after their arrival, in 1734, the cornerstone for the parish church of San Fernando was laid on the Plaza’s west side, and the Casas Reales, the town’s governmental center, was begun in 1742 on the east side of the Plaza. This first meeting place for city officials was a one- story adobe structure with dirt floors, with the jail adjoining. It was completed in 1749. The Casas Reales functioned as a meeting place for public officials throughout the Spanish and Mexican rule of the area, and through the period of the Republic of Texas. It was twice reconstructed, however, first in 1779, and again in 1783. By the mid-nineteenth century, much needed new buildings to house city and county offices and the jail were begun in September, 1850, on Military Plaza. Built by Thomas Whitehead, this early City/County complex became known as the “Bat Cave” due to the number of bats that inhabited it. The buildings served as the courthouse and jail until 1879, and were occupied by the Recorder’s Court, Police Headquarters and jail until 1889 when it was demolished. Even as early as 1870, the building had inadequate space for both city and county offices and some offices moved back to Main Plaza to the French Building on the southeast corner. Still more offices were in the Kampmann Building on the northeast corner of the Plaza. On February 20, 1872, the split between City and County government, favored since 1870 was authorized. The “Bat Cave” and jail buildings became city property, though the county would continue to occupy them free until a new courthouse could be built. On August 1, 1872, the Commissioners’ Court authorized the purchase of the “Masonic Building” on the side of Soledad Street and 54’9″ to the north for the new courthouse and jail. These site was just north of Main Plaza. Though there were offices in the Masonic Building in the 1870s, it was not enlarged and remodeled until 1882. Alfred Giles was chosen as architect and D.C. Anderson as contractor. The project was completed and accepted April 3, 1883. The building developed structural as well as space problems very early and by 1887, a new courthouse project was being considered. On March 13, 1891, the Commissioners’ Court passed a resolution declaring the County in need of a new courthouse, and on May 11, a bond issue for property purchase was passed. The location chosen was the south side of Main Plaza, property owned by the estate of Joseph Dwyer. 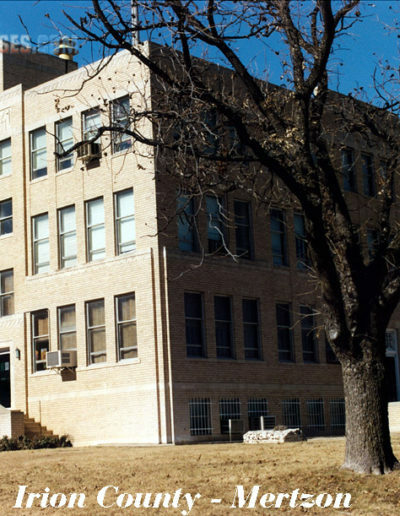 A series of bond issues to enable construction, eventually totaling $621,000 was passed, and a design competition was held. James Riely Gordon, architect of courthouses throughout the United States and Texas particularly, won first prize of $1,000 when he was only 27 years old. Gordon made a specialty of constructing public buildings mainly in the Romanesque mode. He developed a plan that served him well in many projects, that of a Greek cross with a square central stairwell and quarter-circular entrance porches in each corner. He built a dozen courthouses of this type in Texas between 1891 and 1900. Some of them included Fayette County (La Grange, Texas, 1891), Victoria County (Victoria, Texas, 1893), Ellis County (Waxahachie, Texas, 1897) and Comal County (New Braunfels, Texas, 1898). Among his other notable buildings were the Arizona State Capitol at Phoenix and the Texas Pavilion at Chicago’s World’s Colombian Exposition. In all his career, Gordon designed 72 courthouses. In 1904, at the age of 40, James Riely Gordon moved to New York. He served 13 terms as the president of the New York Society of Architects. Gordon died in 1937 in New York at the age of 73. Ground was broken for Gordon’s structure on August 4, 1891, and laying of the granite foundation was begun. In spite of disputes over construction techniques and building materials, the cornerstone was laid December 17, 1892 by Alamo Lodge 44 and Anchor Lodge 424. Several delays and bond issues later, construction was fully completed in 1896. The Bexar County Courthouse has been the center of local and regional judicial activity since its completion. In 1896, it housed the 37th and 45th Judicial District Courts. The 37th dates to 1884, and the 45th to 1889. The need for rapid expansion of courthouse facilities is explained by the increase in the number of courts housed in the structure. The 57th Judicial District Court was created in 1899, the 73th in 1911, the 94th in 1923, and later the 131st, 144th, 150th, 166th, 186th, and 187th District Courts were added. 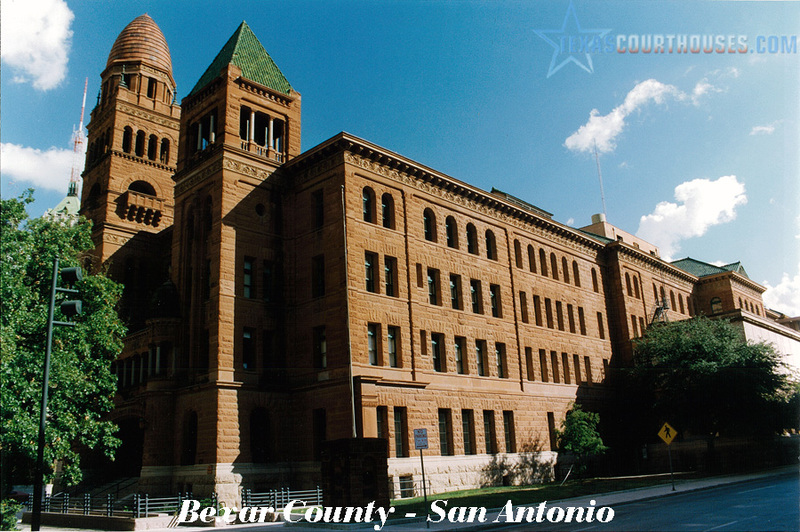 In addition to these, there are six County Courts, five Justice Courts, the District Attorney and District Clerk all located in the Bexar County Courthouse. Recent pressures to increase the number of courts in Bexar County, as well as discussion of merging City and County government once again (separated in 1872) in one office complex adjacent to the present facility, make it imperative to draw attention to the importance of the existing structure.